Though no one can predict what will happen, many experts are not optimistic that any real reforms will pass in China and North Korea while hunger will continue to drive North Korean refugees across the border in search of food and relief. But there’s hope. Information continues to trickle into North Korea from China debunking the lies the North Korean regime has told its people. This information is making a big difference inside North Korea. In 2012 Intermedia, a consulting group specializing in research, did extensive research on the media consumption of North Koreans and how they heard about the outside world. The study found that 79 percent of the respondents cited word-of-mouth as their primary source of non state sanctioned information. 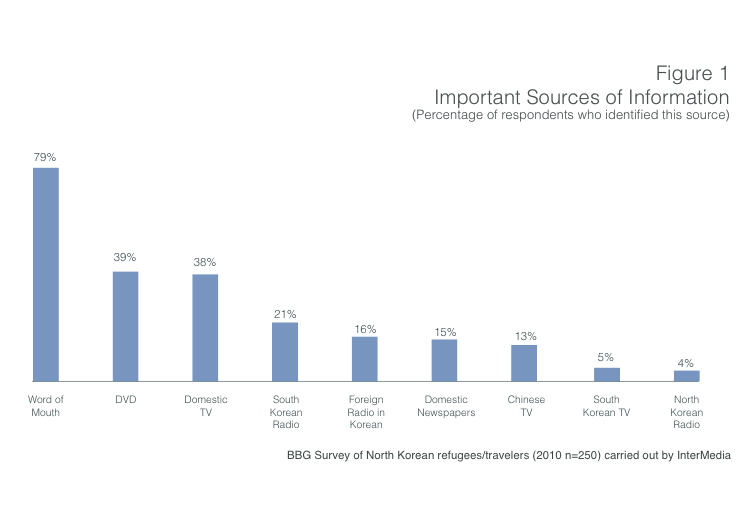 "Consistent with expectations in any tightly controlled media environment, word-of-mouth sources -people sharing with those they trust - are the most common sources of information for the majority of North Koreans. North Koreans commonly cite "rumors" as the most important source of non-official information available to them," the report states. Crossing Borders plays an integral role in this exchange of information. The more safe harbor we provide to North Korean refugees, the more information about the outside world will seep in via messages sent into the country and North Koreans returning to their country. This degradation of trust North Koreans have for their government will only lead to a weakening of power for the Kim regime. One day this might lead to regime change and substantive improvements for the people but it might also lead to further oppression and despair for the people. 1. Pray – Pray for reform in both countries. Pray that God would protect the workers who help and harbor these people. Pray for circumstances that will change the hearts of those who lead both countries. 2. Learn – There are many great resources available that will help you understand this complex situation better. Read books and websites. Watch movies and documentaries. Understand what is happening in China and in the North Korean refugee population. 3. Tell – Spread the word about the plight of the North Korean refugee. 4. Give – If you can, donate to Crossing Borders and other great organizations to help the hundreds of thousands of North Korean refugees in need. This concludes our series about China and how their policies affect North Koreans in North Korea and North Korean refugees in hiding in China, living South Korea, or other parts of the world. We hope you learned something. Please feel free to contact us via Facebook or email if you have any questions.